TORONTO, Jan. 29, 2019 /PRNewswire/ – The Green Organic Dutchman Holdings Ltd. (the “Company” or “TGOD”) (TGOD.TO) (TGODF) is pleased to announce that the Danish Medicines Agency, the Government body responsible for issuing cannabis related licenses, has granted an initial cannabis business authorization to TGOD’s joint venture production partner Knud Jepsen. This licence will allow TGOD’s JV partner Kund Jepsen to immediately begin importation of starting materials and to begin research and development related to the creation of elite cannabis genetics. Per the terms of the recently completed definitive agreement, Knud Jepsen will submit a request to the Danish Medicines Agency for the assignment of this licence to the TGOD-Knud Jepsen Danish joint venture, a process that is already underway and expected to be completed within the coming weeks. The initial licence, issued under the Danish Medicines Agency’s Development Scheme, enables the importation of starting materials, the receipt, possession, cultivation and processing of cannabis, and distribution and export of analytical samples to foreign labs. After the cultivation and harvest of three confirmed and consistent crops, an additional authorization licence will be issued allowing for the sale of authorized medicinal cannabis products. The Denmark based TGOD/Knud Jepsen cannabis production JV will initially consist of a 37,500 sq. ft. phase one production facility with an expected annual capacity of 2,500 kgs per year with an initial focus on supplying the Danish medical market. The purpose-built hybrid greenhouse facility will be located within Knud Jepsen’s large-scale operations in Hinnerup, Denmark, and the property includes significant room for expedited expansion on Knud Jepsen’s land as additional global markets open and demand dictates. The previously contemplated (see June 27, 2018 news release) 25,000 kg of production in Denmark will shift to various lower cost production jurisdictions throughout Europe. 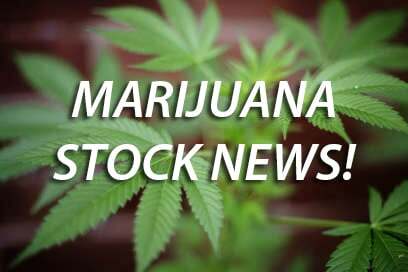 TGOD will have the exclusive right to all cannabis-related production from the JV through a guaranteed offtake agreement. TGOD and Knud Jepsen have also formed a genetics-focused JV, which will consist of a 5,500 sq. ft. R&D facility for cannabis-related trials and testing to produce and house elite materials. Knud Jepsen’s laboratory will be retrofitted to begin robust R&D trials with the goal of patenting and commercializing novel discoveries. The facility will be ready to receive cannabis starting materials in the coming weeks. The Green Organic Dutchman Holdings Ltd. is a publicly traded, premium global organic cannabis company, with operations focused on medical cannabis markets in Canada, Europe, the Caribbean and Latin America, as well as the Canadian adult-use market. The Company grows high quality, organic cannabis with sustainable, all-natural principles. TGOD’s products are laboratory tested to ensure patients have access to a standardized, safe and consistent product. TGOD has a funded capacity of 170,000 kgs and is building 1,382,000 sq. ft. of cultivation facilities across Ontario, Quebec, Denmark and Jamaica. This news release includes statements containing certain “forward-looking information” within the meaning of applicable securities law (“forward-looking statements”). Forward looking statements in this release includes, but is not limited to, statements about the granting or assignment of any license, statements about future business ventures, statements about future research, development and innovation by the Company, statements about the offering of any particular products by the Company in any particular territory and statements regarding the future development plans or performance of the Company. Forward-looking statements are frequently characterized by words such as “plan”, “continue”, “expect”, “project”, “intend”, “believe”, “anticipate”, “estimate”, “may”, “will”, “potential”, “proposed” and other similar words, or statements that certain events or conditions “may” or “will” occur. These statements are only predictions. Various assumptions were used in drawing the conclusions or making the projections contained in the forward-looking statements throughout this news release. Forward-looking statements are based on the opinions and estimates of management at the date the statements are made, and are subject to a variety of risks and uncertainties and other factors that could cause actual events or results to differ materially from those projected in the forward-looking statements. The Company is under no obligation, and expressly disclaims any intention or obligation, to update or revise any forward-looking statements, whether as a result of new information, future events or otherwise, except as expressly required by applicable law. Previous articleOrganigram Holdings Inc. (OGRMF) Signs Multi-Year Cannabis Extraction Agreement with Valens GroWorks Corp.